Quilt Story: Fabulous Fabric Tuesday! and I receive their newsletters! On to fabric Tuesday, you guys have been up to some fabulousness again! I LOVE fabric tuesday to see what you all have been up to. Thanks to everyone who followed Megan in the SLICED competition. You softened the blow of getting the boot when she read all your comments of support. Thanks for that! Dreaming in patchwork, eye catching quilt finish! 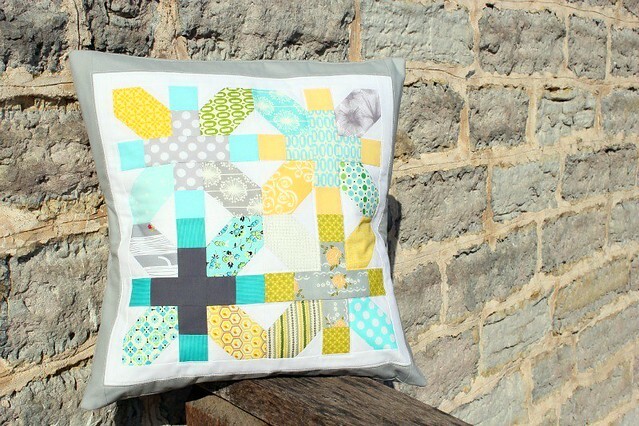 Megan from Canoe Ridge creations...LOVE this pillow! Can't wait to see your projects this week! Congrats to the winner and thanks for a great linky party! Yipppeee Skippeee!! I am a winner and this is such a thrill - wow! What do I do? Where do I go? Thanks so much!!! Thank you for letting me share this quilt. Fabric Tuesday is my favorite linky party! I am linking for the first time, thank you for offering this chance to share. 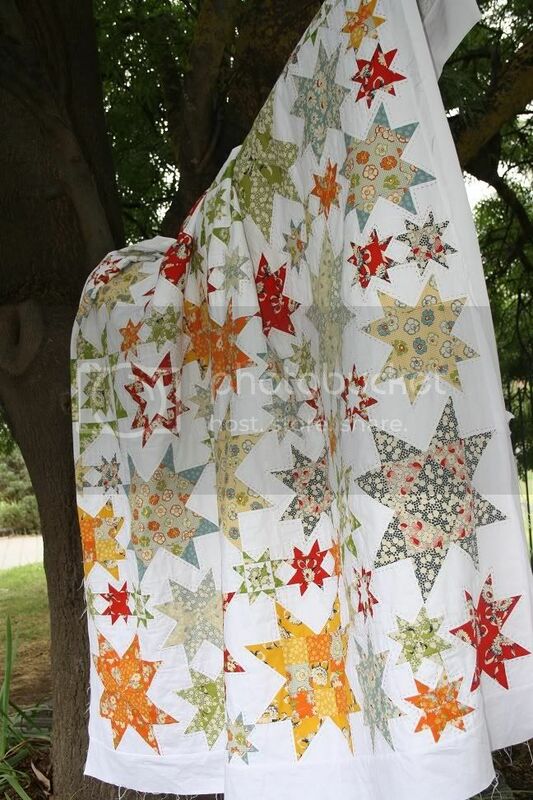 Where can I find a pattern for that Oh My Stars quilt? LOVE it!